engaged with by the public. 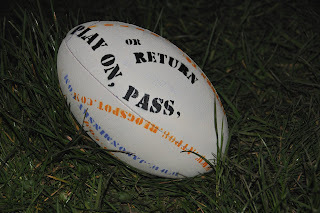 play on , pass or return". (An address is painted on the work).